An Art Deco ebonized round side table. 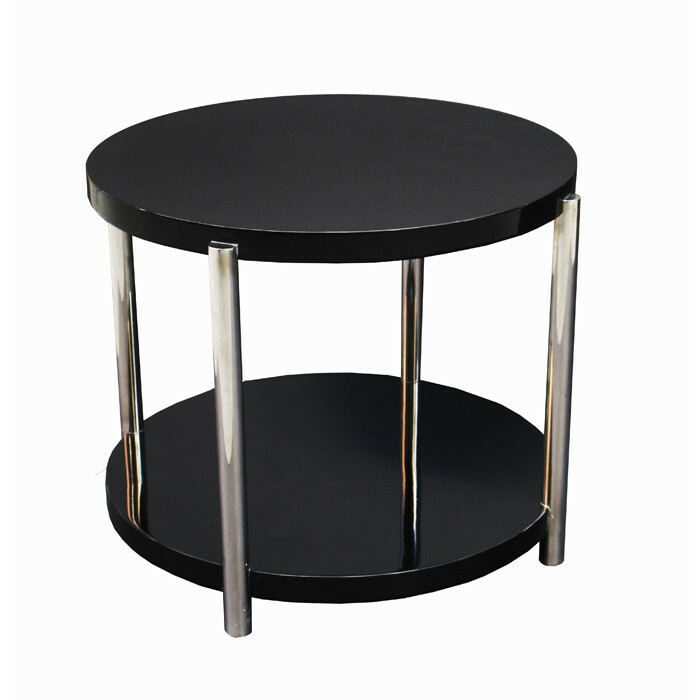 Black lacquer with nickeled metal legs. Dimensions: H:21½ Diameter: 27 Inches.